Tracking apps and accessories like Tile have been a huge growth category in recent years. However, this year's CES will see PITAKA take things one step further with their new MagHive smart reminder tech. “Most tracking apps help you find lost items, but the MagHive prevents you from forgetting or misplacing things in the first place,” said Pitaka founder James Cheng. The MagHive system consists of a mobile app for IOS and Android smartphones, along with a magnetic, NFC/RFID-enabled, wireless-charging base station with fobs called MagTags that can make any personal item pairable. 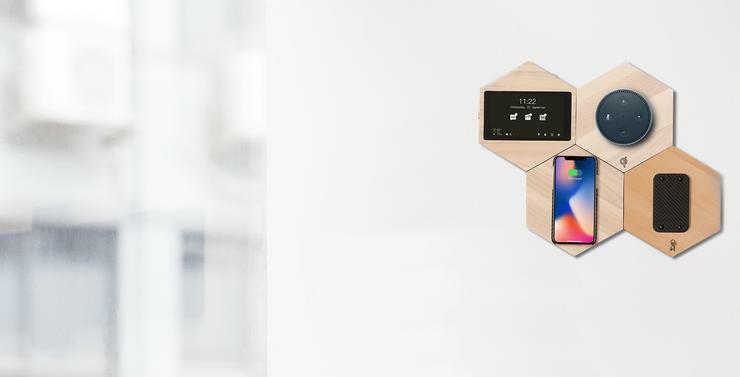 The company say that reminders can be customized and triggered by motion and even events like weather. Reminders can also be sent to friends and family. It can even be paired with Amazon Echo Dot and Google Home, users can add voice control and the personal assistant to make the MagHive even more helpful. No word yet on pricing or local availability but it does seem like an interesting evolution of the underlying technology.